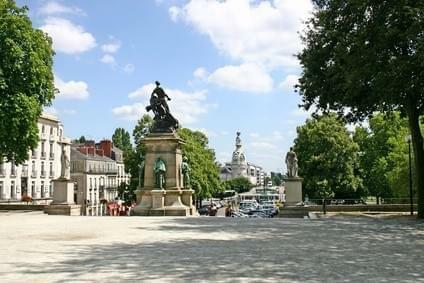 Nantes offers a variety of boutique hotels. As one might expect this type of hotel is more upscale type, it must therefore put there prices for fun in one such establishment. As one of the key factors to tell a hotel that has charm is its location, the hotels in our selection are in the most beautiful area of ​​Nantes. Let's start our tour of Nantes boutique hotels with the Hotel De Bourgogne a 3 star hotel located in the center of Nantes, opposite the railway station and close to main points interest such as château des Ducs and the St Peter's Cathedral (9 Allée Commandant Charcot). Expect to pay about 60 euros per night to stay in this hotel. quote then Hotel , a facility also located close to the train station, in the historic castle district. The Hotel offers small, comfortable and tastefully decorated between tradition and modernity. Some rooms offer magnificent views of the Chateau des Ducs de Bretagne. The home is pleasant and professional (6 Rue Henri IV). Prices start at around 85 euros per night. Ibis Styles Nantes Center Place Graslin is also a good place in the center of Nantes, formerly known as Hotel des Colonies, it is near the Place Royale and Place Graslin, you will find many shops and restaurants in the neighborhood. This is a beautiful property, the building itself dates from the 19th century, it was renovated and offers quite small but comfortable and modern. (5 Rue du Chapeau Rouge, prices from 60 euros). Finally end this selection with the Hotel La Perouse , a three-star hotel ideally located in the center of Nantes (Course 50 otages 3 Allée Duquesne). It offers modern design rooms, they are soundproofed, air conditioned and well equipped with private bathrooms and satellite TV. Breakfast is hearty and prepared with organic products and fair trade. The reception staff is friendly and professional. Quarter Hotel: downtown, close to the cathedral of Nantes . Quarter Hotel: city center of Nantes, near the Place Royale and Place Graslin, you will find many shops and restaurants in the area . Quarter Hotel: center of Nantes, near the Theater Graslin and the Passage Pommeraye, you will find many shops and restaurants nearby . Hotel Quartier; center of Nantes, in the historic castle district. Transport: close to the station . Quarter Hotel: center of Nantes, opposite the train station and close to major landmarks, such as Château des Ducs and the St Peter's Cathedral .